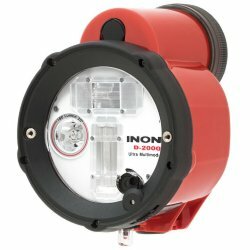 The INON D-2000 Type4 underwater strobe is, in many ways, the Cinderella in the INON strobe line up. The INON S-2000 is smaller and less expensive, the INON Z-240 Type4 is more powerful, offers changeable flash sync underwater and provides a connector for a hard wired cable, and is perceived as the ‘professional’ INON strobe. But for many underwater photographers, the INON D-2000 Type4 is actually the perfect choice. In this INON UK buyers guide to the INON D-2000 Type4, we’ll discuss why overlooking the INON D-2000 Type4 might be a mistake and consider its many user friendly benefits. Because this INON UK strobe guide is aimed at new underwater photographers or those who have found limitations with their starter strobe and are looking to upgrade, bear with us, because we’ll be reviewing some underwater strobe basics as we go. 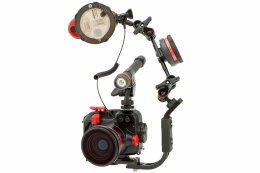 INON offer a range of underwater camera strobes to meet different underwater photographer’s different requirements. However, unlike other underwater strobe manufacturers, INON does not produce any ‘starter’ strobes. What we mean by this is that the key features and benefits of power, wide-angle coverage, exposure control and recycling time are broadly similar across the INON S-2000, INON Z-240 Type4 and D-2000 Type4 models. Starter strobes can very quickly be outgrown and their limitations usually only become clear when you are on an expensive trip and getting disappointing results. Each INON underwater strobe is also part of a system that includes creative lighting accessories such as diffusers, colour changing filters and light modifiers, called snoots. So, whether you select the INON S-2000, INON Z-240 Type4, or D-2000 Type4 strobe, you are investing in an extremely versatile lighting system to help you get the most from your underwater photography. The strobes themselves are backed up by several INON UK courses that you can take to help familiarize yourself with the equipment and help you master the best shooting techniques. 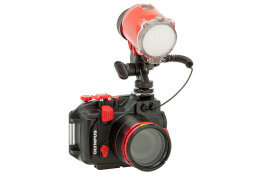 The INON D-2000 MK4 strobe forms part of the INON underwater lighting system. Light modifiers include snoots which progressively narrow the strobe beam. Narrower beams may be helpful to reduce backscatter in poor visibility as well as for creative spot lighting effects. Filters help add impact by increasing contrast between subject and background. 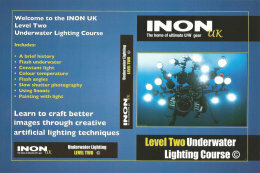 The INON UK Level 2 Underwater Lighting Course teaches advanced lighting techniques. As we said, the INON S-2000, INON Z-240 Type4 and INON D-2000 Type4 share many similar benefits. So to make an informed decision on which of the range is best for you, you’ll need to consider the more subtle differences. In this INON UK buyers guide to the INON D-2000 Type4 underwater strobe system, we’ll try and help explain these in detail. But let’s begin with the basics. The power of an underwater strobe is measured using a Guide Number or GN. The greater the GN, the more powerful the strobe is. The INON Z-240 Type4 has a GN of 24 and the INON S-2000 and INON D-2000 Type4 a GN of 20 each. The GN is expressed in metres in this guide, but equates to 80ft and 66ft respectively. It’s important not to confuse metric and imperial GN’s when comparing underwater strobes. Although the difference between a GN of 20 and 24 might seem impressive, it is only about one F stop. Opening your lens from F4 to F2.8 or doubling your ISO from 200 to 400 is the equivalent to the difference between a GN of 20 and 24. If you aren’t familiar with these terms, then taking one of our INON UK courses might be worthwhile before making any equipment purchases. For many underwater photographers a GN of 20 will be fine. In fact, we use all three INON strobes interchangeably without any concerns about power. However, the additional power of the INON Z-240 Type4 can be useful in some quite specific situations, which might be relevant to your style of underwater photography. For example, dome ports used with wide-angle lenses for compact system and SLR cameras usually yield soft edges at wider F stops. Stopping down improves edge sharpness. So being able to shoot at F8, instead of F5.6, might be important to some underwater photographers. Similarly, using high ISO’s can introduce more noise into your photos than you might find acceptable, so being able to take pictures at 100 ISO instead of 200 may be valuable to you. This brings up another point – your underwater strobe is just one part of a system that includes your camera, housing, lenses, ports, arms and your own knowledge of how to use all of this equipment effectively. All parts have to work together and the influence of each part on the other needs to be considered. A few misunderstandings about strobe power do the rounds that we need to explain. The GN is not the distance you can take pictures from! A GN of 24 metres does not mean you can photograph a wreck that far away. A strobe has two shooting distances through water. For good colours, especially reds, the maximum shooting range is only around 1.5 to 2 metres. Beyond this distance colours rapidly fade. This is the second shooting range. If you don’t need colour in your photograph, just light, you can take pictures from around 3 to 4 metres away. The exact distances vary with water conditions. Although strobe manufacturers publish underwater Guide Numbers, the air GN is the best indicator for comparing power. The air GN is exact. The underwater one is a guess and sometimes optimistic. By convention most strobe manufacturers figure you’ll lose half the strobes GN by taking it underwater. This rather assumes very clear water. Wide-angle coverage is a vital feature of an underwater strobe for nearly all underwater photographers. Most of us routinely use wide-angle lenses. Typically these lenses have an angle of view of 100 degrees or greater. So we need a strobe that can cover at least the same angle as our widest lens. All INON strobes cover 100 degrees out of the box. However the INON Z-240 Type4 and INON D-2000 Type4 share a twin flash tube design, while the S-2000 uses a more conventional single tube. The single tube creates rectangular flash coverage, approximating the shape of most picture formats. The twin tube and reflector design of the INON D-2000 Type4 and INON Z-240 Type4 creates a circular flash pattern. The advantage of the circular beam is that it overlaps a rectangular photograph – think of having a rectangular picture printed onto a round dinner plate and you’ll begin to see what we mean. The overlap of light beyond the picture edges means you don’t have to be so precise with your strobe aiming as you do when matching a rectangular strobe beam to a rectangular picture. Many lenses, of course, are wider than 100 degrees. 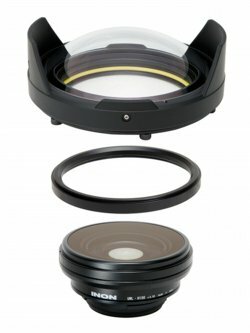 For instance, the popular INON UWL-H100 28AD Wide Conversion lens and INON UWL-S100 ZM80 Wide Conversion Lens cover 100 degrees as standard. But when either is upgraded using the optional INON Dome Lens Unit 11, the field of view can be as much as 150 degrees. The innovative INON bug eye lenses for wide angle macro photography also offer extreme coverage. The INON UFL-M150 ZM80 Underwater Micro Fisheye Lens is a 150 degree wet lens for compact and compact system cameras. The INON UFL-MR130 EFS60 Underwater Semi Fisheye Relay Lens is a 130 degree wide angle macro optic for Canon SLR users. 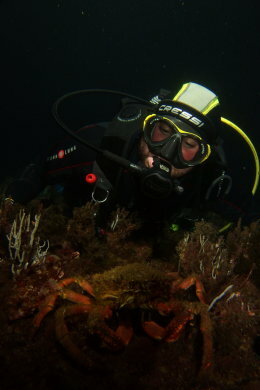 Using very wide-angle lenses can mean strobes will hot spot, lighting only part of the picture, which is distracting to the eye (snoots are used to deliberately spot light parts of the subject for creative effect, and this technique is covered during the INON UK Level Two Underwater Lighting Course ). To increase the strobes angle of coverage, diffusers can be used. Diffusers widen the beam. However, widening the beam comes at a cost. As the light is spread out further, its intensity reduces, meaning you have a lower Guide Number to work with. This might mean you have to get closer to your subject, use a wider F stop or increase your ISO to compensate, which may not be desirable or even possible. Angles of coverage vary between strobe manufacturers and so does the amount of light reduced by adding a diffuser. INON diffusers only reduce the intensity of the strobe by half a stop. Many other strobes lose a full stop. And, although officially an INON strobe equipped with an INON diffuser covers 110 degrees, many experienced underwater photographers find they can light 180 degree fisheye lenses perfectly well with just a single INON strobe. Why the contradiction? It was Martin Edge, the famed underwater photography instructor and author of ‘The Underwater Photographer’ who first announced that he was able to successfully light 180 degree fisheye images with just one INON strobe. The reason it’s possible is because the light from an INON strobe does not stop abruptly with a clearly defined edge to it at 110 degrees. It’s not light on one side of 110 degrees and dark on the other. Instead the light feathers out gradually. Different strobes have different lighting characteristics. Some can appear very powerful, until you add a diffuser. So it is important to compare the GN of the strobes you are considering when equipped with diffusers for wide-angle photography. Some strobes require diffusers even to be used with 100 degree wide-angle lenses. Finally, the INON D-2000 Type4 can be equipped not only with INON diffusers to widen the beam angle and INON diffusers to reduce the GN deliberately for certain situations, but also INON diffusers that adjust the colour of the beam. Changing the colour of the beam can help overcome the tendency of some cameras auto white balance settings to add a tint of yellow or orange to photographs. Or, more often, they are used to increase contrast between the foreground subject and the water behind, giving the image much more punch. For those who want to creatively change colours, but don’t want the wider beam the diffusers create, INON strobe filters can be used instead. INON filters and diffusers attach securely to the INON D-2000 Type4 using a single thumb screw and are easily fitted and removed without tools. 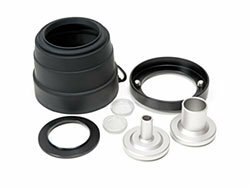 The screw fitting ensures that you are much less likely to lose a diffuser or filter during your dive. Like the INON Z-240 Type4, the INON D-2000 Type4 offers three exposure modes compared to the two provided by the INON S-2000. S-TTL is the easiest exposure mode to get started with for a new underwater photographer using a strobe for the first few times. It’s also a good option with fast moving subjects and under difficult diving conditions. S- TTL (INON Optical Sync TTL) provides correct strobe exposure automatically under most situations. INON S-TTL works on a copycat principle. It is controlled by your own cameras built in flash and this, in turn, is controlled by your cameras own light meter. The big benefits of using your cameras light meter to control your INON D-2000 Type4 strobe include how the camera and strobe work together and more choices over strobe aiming. Modern cameras, including compacts, have very sophisticated light meters that can get an acceptable strobe exposure more often than not. 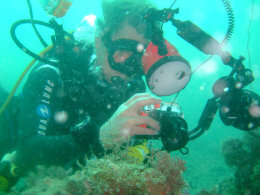 Because getting the strobe exposure right involves camera settings such as F stop and ISO, which often get changed between pictures, linking your strobe to your cameras own light meter means these changes are automatically taken into account, rather than the diver having to also make adjustments to the strobe controls as well. Another advantage is that the camera light meter is located behind the cameras lens, meaning it is always pointed at the subject. This might seem a strange thing to say, but quite often you will want to avoid aiming your strobe directly at your subject to prevent backscatter. Non –TTL automatic metering often results in poor strobe exposures because the light meter built into the strobe misreads the situation, as we’ll explain in a moment. Finally, because visibility is so variable, the S-TTL system knows when to reduce or boost the strobes output to cope with changes in water clarity that affect light intensity. No automatic light meter will get the exposure right every time, however. 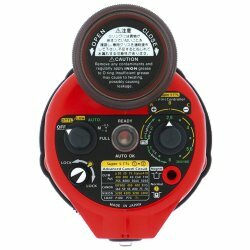 Certain subjects confuse the meter, causing over or under exposure. It is wrong for equipment manufacturers and retailers to imply it can. Some input is always needed from the photographer at some point. 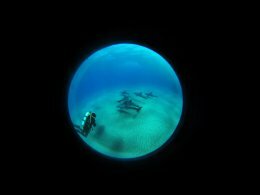 INON UK offers a number of courses to help newer underwater photographers understand the limitations of camera and strobe automatic exposure settings and how to make adjustments when called for. A good example is taking pictures of divers. Automatic light meters are often confused by a dark diving suit and BCD, leading them to overexpose the strobe. This, in turn, causes the divers face to burn out. To overcome this problem, the INON S-2000, INON Z-240 Type4 and INON D-2000 Type4 have an S-TTL exposure adjustment control. This lets you adjust the S-TTL for tricky subjects by introducing a little under or overexposure to correct the results the meter would normally produce. This feature is very useful if, for instance, you want to photograph your buddy during a guided dive when your partners distance from you will keep changing and there’s no time to stop and take test shots. The S-TTL will let you shoot fast and account for changes in distance, while making a small adjustment to the compensator will ensure correct exposure for the skin tones. Divers dark equipment often causes automatic strobe settings to over expose faces. INON S-TTL includes an easy to set compensator to avoid this problem. Many experienced underwater photographers prefer to set their strobe exposure manually. Although newer underwater photographers are often intimidated at the thought of using manual camera and strobe controls, these settings are very easy to learn and use. In fact, despite the success of INON S-TTL, INON have a ‘Try Manual’ campaign to encourage divers to enjoy more creative underwater photography. Manual may be needed to overcome a problem with S-TTL and other copycat automatic flash exposure systems that is caused, not by the S-TTL, but by a camera limitation. Although the INON D-2000 Type4 has a high Guide Number of 20, many of the flashes built into compact and compact system cameras are much weaker – sometimes less than half the power of the D-2000 Type4. 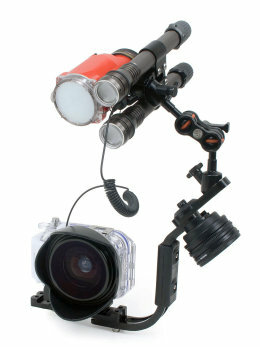 With copycat systems, the underwater strobe matches the output of the cameras built in flash. However, when the built in flash reaches its maximum power, it will stop the underwater strobe as well. It’s a bit like having two long jumpers and tying the best long jumper to a piece of rope so he can only leap as far as his weaker competitor. To overcome this limitation, you need to select a manual power setting on your INON D-2000 Type4 strobe. At short distances, when taking close up, macro and super macro photographs, S-TTL is usually very accurate. But, to avoid gross overexposure, S-TTL needs to be combined with a suitably low ISO and a narrow F stop. This is one of the reasons people using automatic settings on their cameras may get poor close up pictures and another reason it is wrong to let consumer’s think automatic features on a camera guarantee good underwater images. They don’t – in fact they regularly spoil underwater pictures. Especially when using INON UCL close up lenses, such as the INON UCL330M67, INON UCL165M67 and INON UCL165LD and INON UCL100M67 and INON UCL100LD, manual strobe exposure can be an excellent choice. This is because at the fixed distance to your subject that is set by the lens, exposure is also more or less fixed. The only variation is likely to be because of the colour and reflectivity of your subject. Normally very slight adjustment of your INON D-2000 power switch will perfect the exposure. The INON D-2000 Type4 provides 13 manual power settings, just like the INON Z-240 Type4. These are in half stop increments, and are click stopped, so exposure is very precise. While the INON S-2000 offers S-TTL and manual flash control, the INON Z-240 Type4 and D-2000 Type4 provide a third exposure system, called External Auto. For most underwater photographers, S-TTL and manual strobe exposure control will be sufficient. External Auto is quite a specialised feature for very specific situations. INON External Auto uses a light meter built into the INON Z-240 Type4 and D-2000 Type4 to control the flash exposure, rather than using manual or S-TTL. There are two main reasons to choose External Auto over S-TTL or manual. The first is if your camera cannot support S-TTL. This tends only to be the case with professional SLR cameras which lack a built in flash. An example is the full frame Canon EOS6D. Chosen by INON as a near perfect SLR for professional and demanding enthusiasts use, the INON X2-EOS6D housing uses a converter to fire the INON S-2000, Z-240 Type4 and INON D-2000 Type4 using a fibre optic cable, but with no built in flash to copy, S-TTL automatic flash exposure isn’t possible. For users of cameras without a built in flash to control the S-TTL, External Auto provides automatic exposure control. In situations of hostile diving, where only grab shots are possible, or with fast moving subjects, External Auto may be much more convenient to use than manual. The second reason is because S-TTL relies on a pre flash which introduces a delay into taking the picture, much like shutter lag. External Auto does not use a pre-flash, so you may be able to shoot appreciably more quickly. External Auto is aperture priority based, so works best if you set your camera to aperture priority or manual. Adjustments are made in half stop increments, permitting 24 settings for precise lighting control. Because the light meter for External Auto is built into the INON Z-240 Type4 or INON D-2000 Type4 underwater strobe, how you aim your strobe can influence the accuracy of the exposures. The light meter needs to see the flash reflecting off the main subject to control the output. Using a strobe position such as bunny or rabbit ears, with the strobe turned outwards, may mean the strobe light meter does not see the reflected light from the subject. This can cause overexposure. Having mentioned pre flashes, this is a good time to talk about synchronisation. All digital underwater strobes need to be synchronised with your camera. The INON Z-240 Type4 has a synchronisation mode that can be changed underwater. This can be important if you use certain cameras, such as some Canon Powershots, whose strobe synchronization setting may vary depending on whether you have set your camera to an automatic exposure mode like P, AV or TV or have chosen to shoot manually. Because it isn’t uncommon to want to change between automatic and manual camera exposure modes during your dive, the ability to reset strobe sync underwater may be enough to give the INON Z-240 Type4 an edge. But, for many photographers, being able to change synchronisation underwater will be much less important. Most cameras, even when set to manual exposure, still have the option to put out a pre flash and accurately control INON S-TTL. If the photographer decides they would like to switch from S-TTL to manual strobe control during the dive, they simply turn off the S-TTL using a control on the D-2000 Type4 and select a manual power on the D-2000 Type4 power dial. There’s simply no need to change the synchronization. Both the INON S-2000 and INON D-2000 Type4 are fired using a fibre optic trigger. The Z-240 Type4 additionally offers the option for a hard wired cable connector. Fibre optic’s have become the most common way of triggering underwater strobes in recent years. Hard wired cables were chiefly used with SLR cameras that either lacked a built in flash or were fitted inside housings that did not allow use of built in flashes. As we mentioned, although some cameras lack a built in flash, like the professional Canon EOS6D, INON include a converter built into the INON X2 EOS6D housing to allow an INON Optical D fibre optic cable to be used, as do some other housing manufacturers. This enables a variety of camera and housing combinations to use the miniature INON S-2000 and the D-2000 Type4 as well as the INON Z-240 Type4. Optical connectors have become the most common way of triggering underwater strobes. Hard wired connectors have a few pros and a number of cons that you need to consider. The hard wired connection made the INON Z-240 Type4 the essential choice for many early D-SLR housing owners. Before that, hard wired connectors were used with nearly all underwater film cameras. From around 1984 onwards, almost all underwater cameras used a TTL system developed by Nikon for their Nikonos V underwater camera. In fact, the INON Z-240 Type4 still includes this mode. However, digital SLR cameras used increasingly complex and non–backwards compatible TTL systems. This meant most underwater strobes could only be used manually with D-SLR’s, or, with the INON Z-240 Type4, using External Auto. Another problem is that some housing manufacturers would not connect one of the circuits that links the camera to the strobe. This meant that unless you were very attentive, an unsafe shutter speed could be selected by the camera that was too fast to synchronise with the flash, leaving dark bars across the photograph. Moreover, electrical cables break down with use and must be replaced regularly. 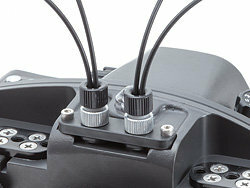 Up to 36 connection points are involved in firing a single hard wired strobe successfully with some of the most popular D SLR housings. Another drawback, along with the possibility of a failed connection, is that leak points are introduced where the ends of the cable attach to the housing and the strobe. The main advantage of a hard wired connector is now very specific – to overcome problems with cameras that have built in flashes that are very slow to recycle. A built in flash that is slow to recycle can mean five seconds or so pause between taking pictures, even though your INON strobe will be ready to fire again much sooner. This, once again, underlines the importance of talking with a specialist INON UK dealer before buying your underwater camera system. The serious gotcha’s are often not obvious and you want your expensive underwater camera equipment to be an investment in successful underwater photography. You don’t want it to hold you back. For point and shoot close up photography, an INON strobe can be mounted onto the camera housing. A short INON Optical D Cable reduces the risk of entanglement or the cable drifting into shot. The INON S-2000 is sometimes chosen over the slightly larger INON Z-240 Type4 and INON D-2000 Type4 for extreme close up photography as it can be set closer to the lens. Fibre optic connectors solve a lot of the problems associated with hard wired cables. There are no electrical connections points to fail or sockets to flood. If your camera has a built in flash, you have the option of using S-TTL. The problems of shutter lag and slow recycling can be solved by choosing the right camera and understanding its own flash menus. Fibre optic cables do vary in terms of quality, but INON Optical D Cables are phenomenally rugged and it is very unlikely you’ll ever need to replace it, so are exceptional value. INON produce a choice of cable lengths. This means you can choose a short cable for point and shoot close up photography with your strobe mounted in your housing accessory shoe without having coils of spare cable to drift in front of the lens or snag or use a much longer cable with strobes set much further away from your camera for wide-angle lighting. Along with four standard INON Optical D Cable lengths, custom lengths can be supplied to order. A choice of fittings allow INON’s outstanding range of video lights to be used as guide and focus assist lights, as well as for lighting video sequences. Considerations for how you mount your INON LE or LF video light will include whether you are shooting close up, mid distance or wide-angle pictures and whether you will be working in the dark. Like its bigger brother, the Z-240 Type4, the D-2000 Type4 has a built in 180 lumen LED modelling light. The modelling light is a convenient way to check colours of a potential close up subject and for seeing where you are going in the dark, as it frees up your hand for carrying your camera instead of a torch. When diving in dark conditions and using a wide-angle lens, such as the INON UWL-H100 28AD Wide Conversion Lens, the narrow beam of the built in modelling light will not be wide enough to let you see everything that might make it into your photograph. 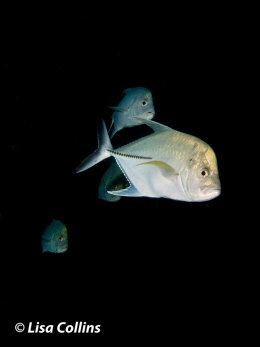 Though many underwater photographers haven’t shot wide-angle at night, believing night time to be better for close up work, they may well be missing out. INON video lights can be used as guide lights for wide-angle photography, allowing the photographer to accurately compose their images. You’ll notice we have not called the light built into the INON D-2000 Type4 a focus light. The reason we differentiate between modelling lights and focusing or focus assist lights is all to do with aiming your strobe. In air, you can aim a camera strobe pretty much anyway you like. Underwater, you can’t. This is because of backscatter. If you aim your strobe inwards towards your subject so that the modelling light illuminates it to help with focusing, you usually get some backscatter. How much depends on how much particulate it is in the water and how far away the subject is. An INON LE or INON LF video light can be mounted in a number of different locations on your camera system to enable it to be used as a focus assist light without introducing backscatter. 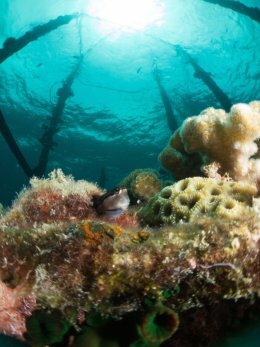 Some considerations for how best to set up your focus assist light include whether you are shooting close up with close up lenses, mid distance images, such as fish, wide-angle photographs as well as the angle of view of your underwater lenses. INON provide an extensive line of mounts including swivel and pan and tilt mounts that let you fit your INON video light to your housing, strobe or strobe arm according to your own preferences. An INON UK official dealer can help guide you to the best solution. One reason underwater photographers choose the INON D-2000 Type4 over the INON S-2000 is if they wear gloves when they dive. Normally, only three controls are used to operate the INON D-2000 Type4. The on/off and mode switch and the power switch are both oversized dials and easy to grip. The power dial spins through 360 degrees. When shooting using manual control, this means you can very quickly go from the lowest output to the highest without having to retrace your route. There is a push button control to switch on the modelling light. All of these controls are mounted on the rear of the INON D-2000. This makes them easy to reach from behind your camera. Side mounted controls would be more difficult to reach when using dual strobes as one set of controls will be on the far side of your rig, making them hard to see and change without turning your camera inwards. Since controls may need to be adjusted on the fly as you shoot a sequence, anything that slows you down is a negative. The ready light/TTL/auto exposure confirmation light is also mounted on the back so it can be easily seen. The INON D-2000 Type4 strobe uses just four AA batteries and can use recyclable or rechargeable cells. These will normally let you take several hundred shots with recycling times of under two seconds, even on full power. The battery cap is transparent to let you confirm that the O ring is properly seated before you dive. The O ring is bright yellow to make it easy to see any debris like a hair or sand on it that might cause a leak. Rear mounted controls and ready/TTL/auto exposure confirmation light make it easy to see and change INON strobe settings from behind your camera rig, even when using dual strobes. Side mounted controls would mean that with two strobes, one set of controls would be out of sight on the wrong side of the photographer. 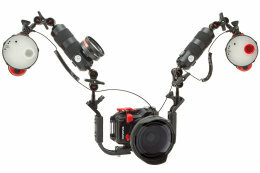 One question we’re often asked is ‘do I need two strobes?’ If you are starting out, then our answer is start with one. Learn to use that. Starting with two strobes simply adds complexity and that often results in poor photographs. There are plenty of reasons for using two underwater strobes. Many of these are explained on the INON UK Level Two Underwater Lighting Course. But unless you understand both the reasons to use two strobes and the techniques that go with using them, you are courting disappointment. 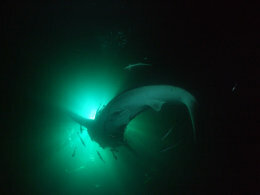 Use of a single strobe is covered during the INON UK Level One Underwater Photography Course. This includes coaching in how to both evenly light your photographs, including wide-angle images, and how to avoid backscatter. INON UK’s Understanding Your Underwater Camera and Strobe Course provides extremely detailed guidance to the functions of cameras and strobes, how cameras and underwater strobes work together and advice on which settings work best in different shooting situations. 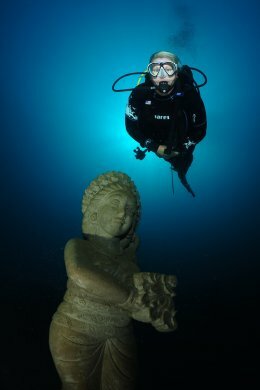 INON UK Learn with Lisa Days present valuable information and top tips on planning successful underwater photography trips, advanced composition skills and photo editing demonstrations. An important benefit of Learn with Lisa Days is the chance to sit down with Lisa for a one to one review of your own underwater images. This is a great opportunity to receive tailored advice and learn more about taking really satisfying pictures. Choosing an underwater strobe system, especially for the first time, can be daunting. Digital cameras have many benefits over film for underwater photographers, but when it comes to underwater strobe photography, they have introduced far more compatibility concerns and their complexity frustrates many divers. Your INON UK official dealer is your best source of informed advice and will help you get the equipment that is right for your own needs. Only strobes purchased through INON UK and our official dealers carry our extended two year warranty and entitle you to special discounts on many INON UK underwater photography courses and events. It’s easy to avoid being sold a grey or parallel import that does not include INON UK benefits. Just check our dealer page.